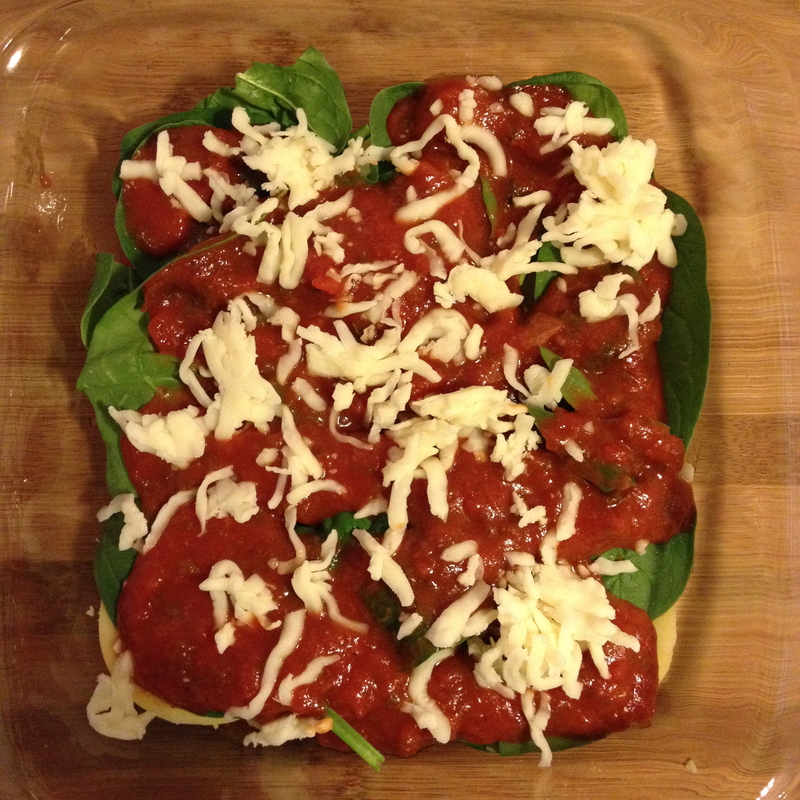 Oh, and it’s only 4 ingredients … woohoo!! 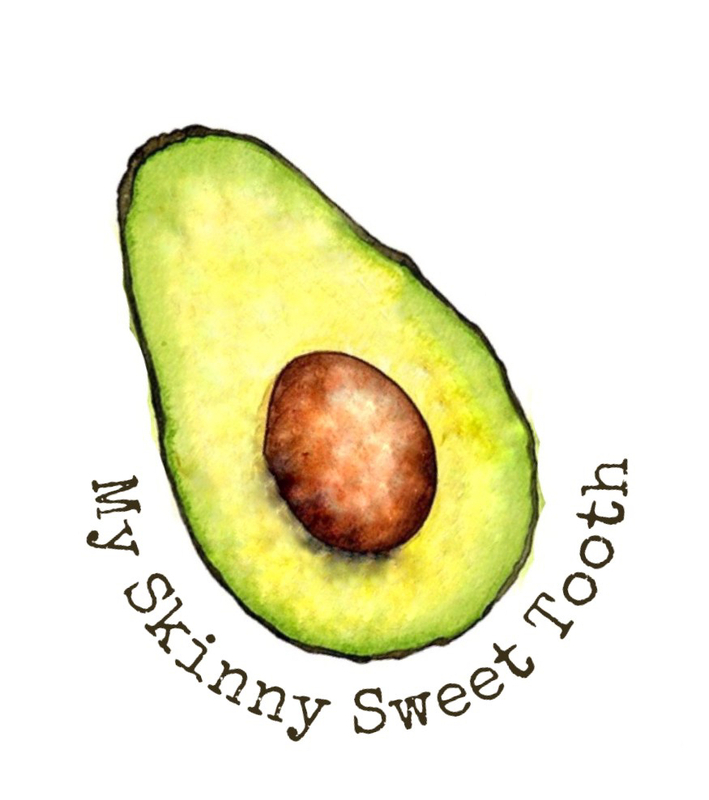 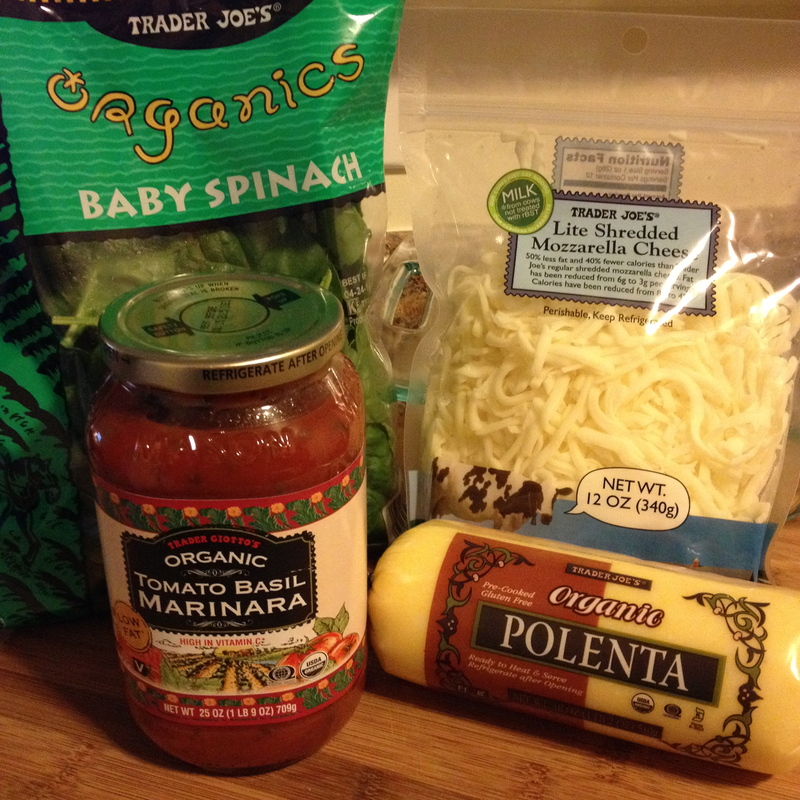 It’s vegetarian friendly, but you can always add a protein like lean ground beef or turkey, etc. 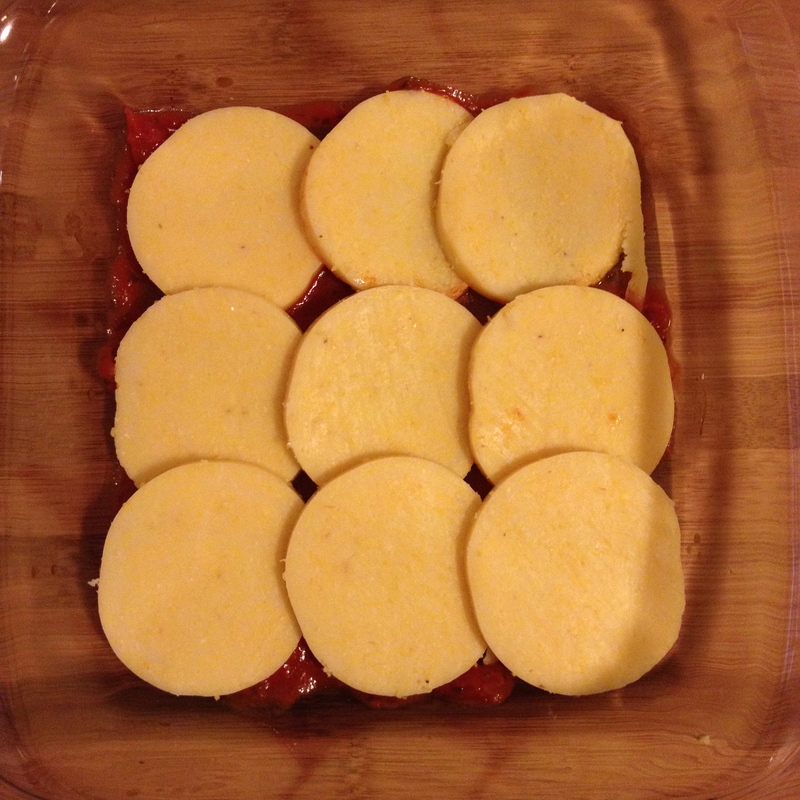 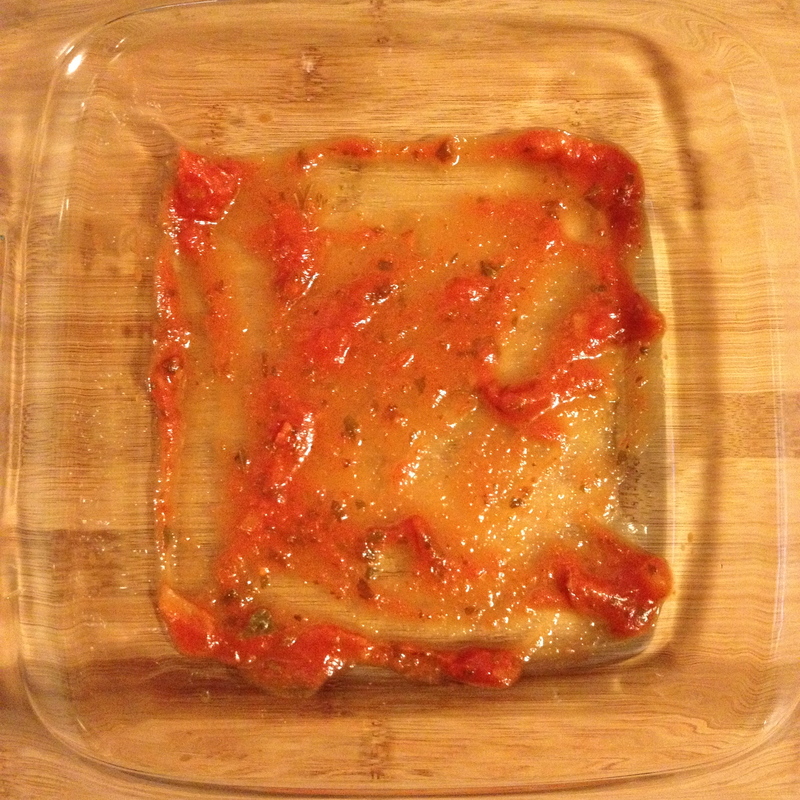 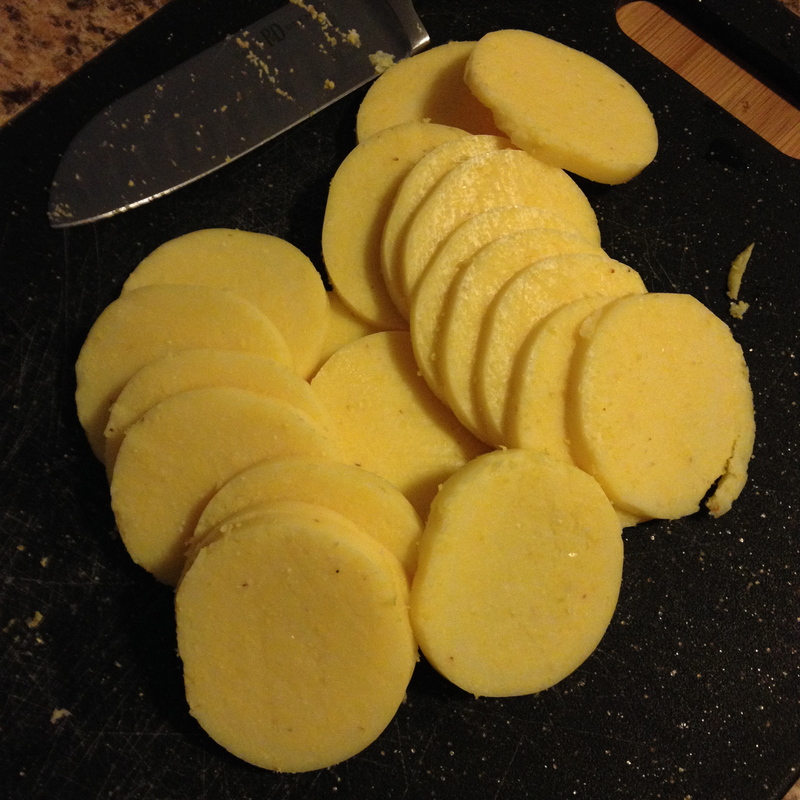 Now starting the layers: Place polenta (slightly overlapping if needed to fit) into a single layer. 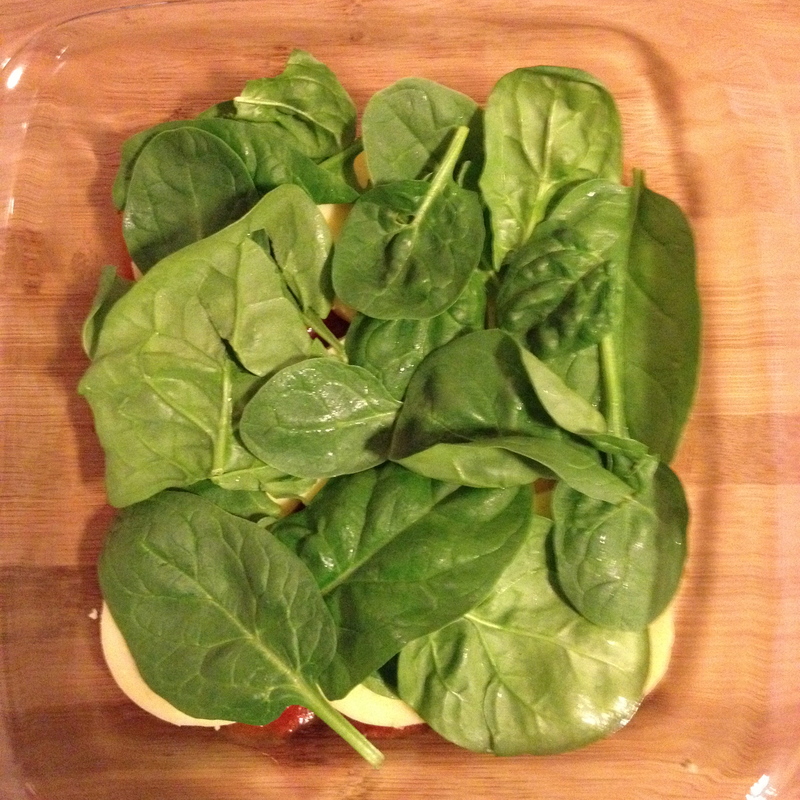 Next, add a handful of spinach. 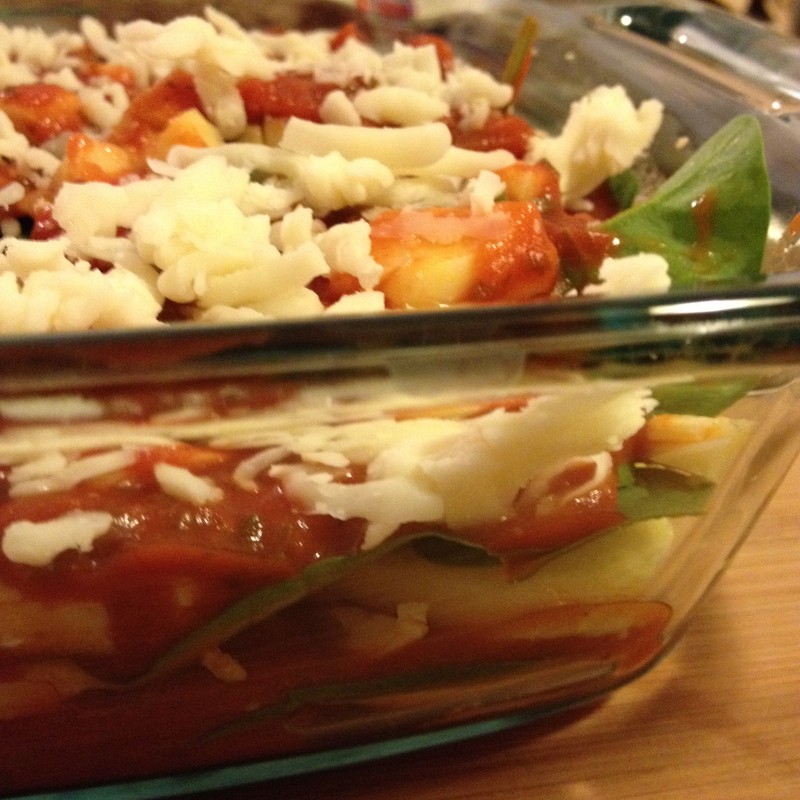 Top that with 1/2 of the sauce and 1/2 of the cheese. 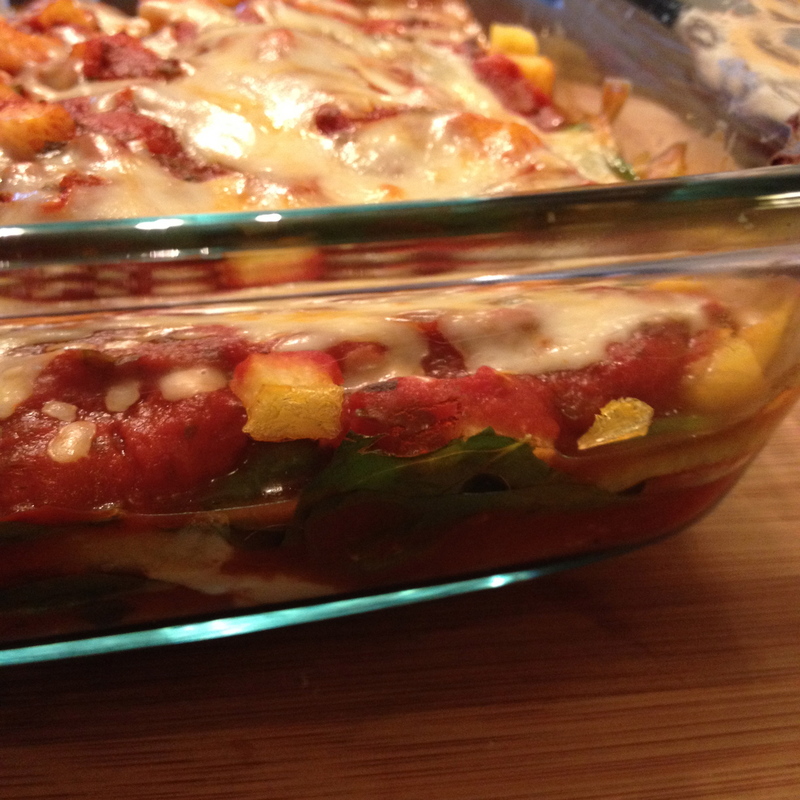 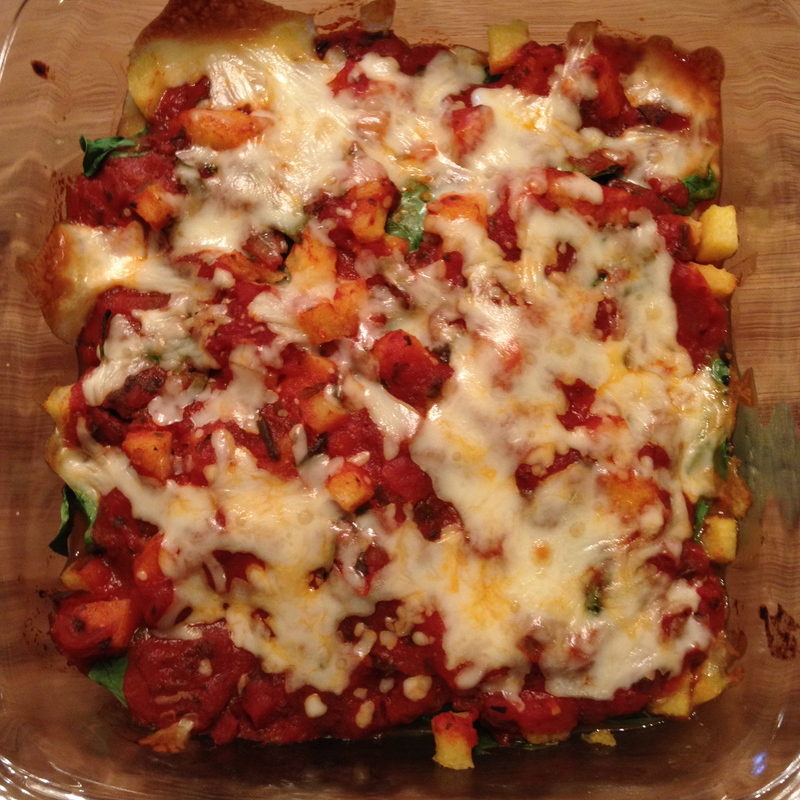 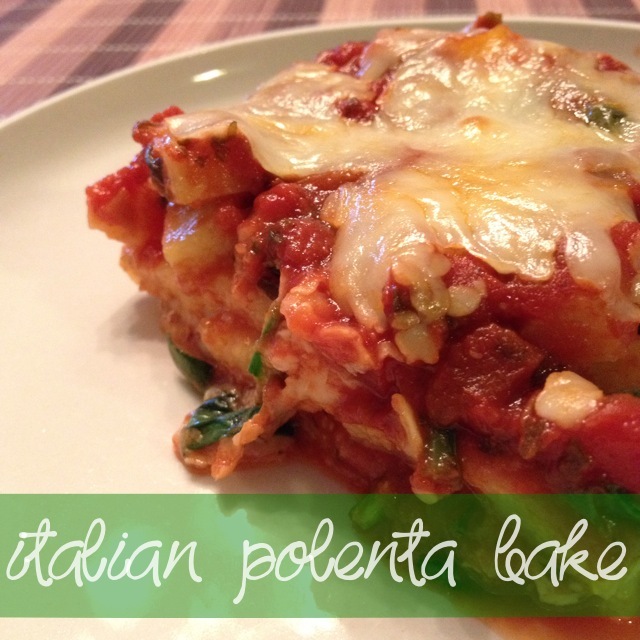 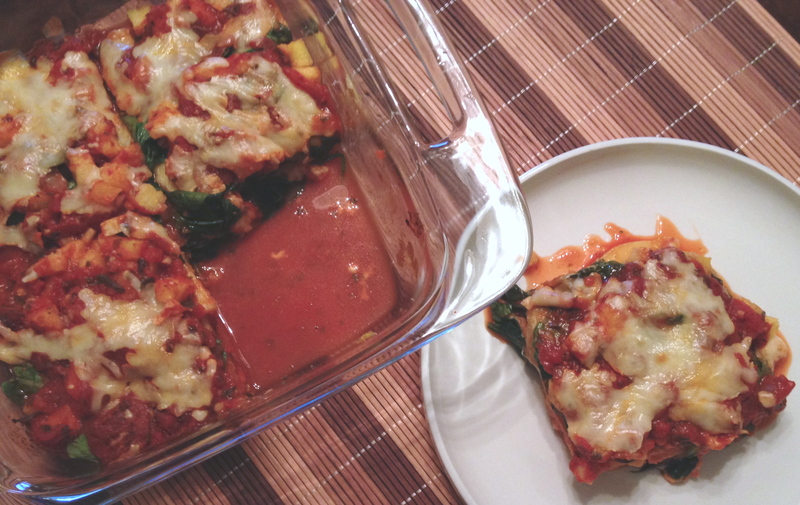 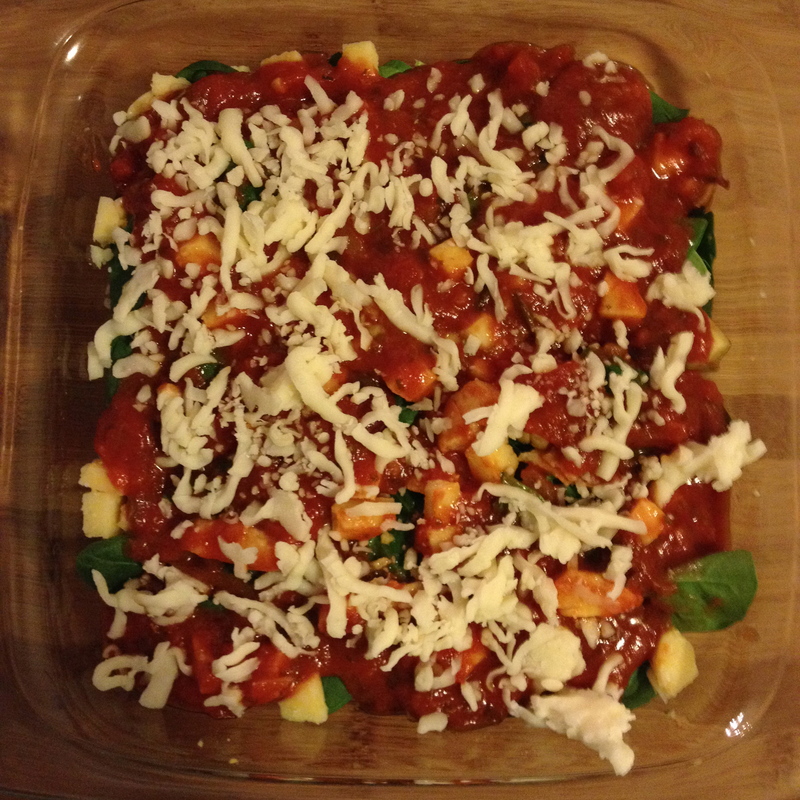 Repeat with the following order: Polenta, spinach, diced end pieces of polena, the remaining sauce and cheese.